Public schools send their students with or without a staff person to experience multiple work/employability experiences offered within the Cushing community. Students usually attend 2 – 3 days per week for 2 – 3 hours on those days. 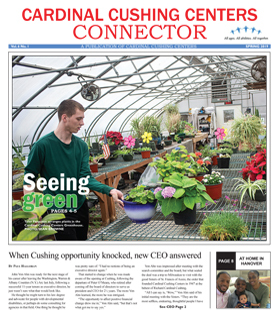 The Career Development Specialists from Cardinal Cushing Centers are available to provide community-based vocational itinerant services for students who attend public school. These vocational transition services meet guidelines that are required by both state and federal mandates. Vocational Assessment – review current assessments and recommend vocational evaluation instruments and techniques that are appropriate for each student. Job Development/Job Placement – determine appropriate job match for student and perform job development in the student’s community. Arranges for on-the-job training by providing consultation and training to job coach. Job analysis – Prepare written description of job content and requirements, assess workplace accommodations, restructure job as needed, and provide natural supports consultation to employer.